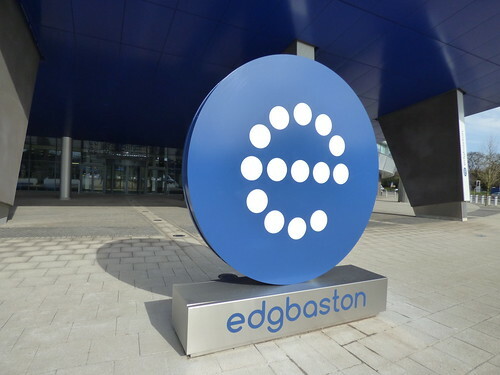 There is a brand new Edgbaston logo outside Edgbaston Cricket Ground as seen from Edgbaston Road in Edgbaston, and also opposite the Edgbaston Mill site. They have also put the logo on the side of pillars and columns, under the blue pavilion building. Edgbaston still has a banner up from last summers Ashes Test against Australia.